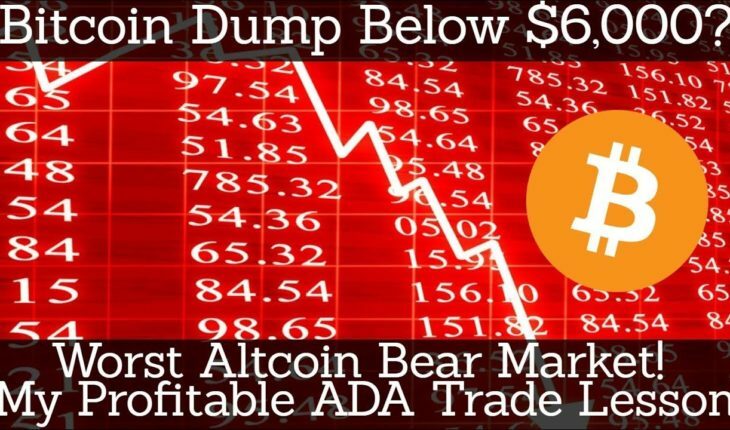 Crypto News: Bitcoin Dump Below $6,000? The price of bitcoin yo-yoed wildly again on Tuesday, falling 14% to $5,920 (£4,250) before bouncing back to $7,265 – up nearly 6% on the previous day. The latest gyrations came as a leading central banker described the cryptocurrency as “a bubble, a Ponzi scheme and an environmental disaster”. The new head of the Bank for International Settlements, Agustín Carstens, also said bitcoin threatened to undermine public trust in central banks and posed a threat to financial stability, and he signalled a global clampdown. “If authorities do not act pre-emptively, cryptocurrencies could become more interconnected with the main financial system and become a threat to financial stability,” he said, speaking at Goethe University in Frankfurt, Germany. Carstens, a former governor of Mexico’s central bank, said that despite the meteoric rise of bitcoin, cryptocurrencies were merely pretending to be currencies and were unsafe, potentially facilitating tax evasion, money laundering and criminal finance. As the head of the body that represents the world’s central banks, his comments are the clearest sign yet that global regulators are preparing a crackdown on bitcoin, the price of which rose by 900% last year, making it the best-performing asset of 2017. It hit a peak of almost $20,000 in the week before Christmas. However, it has fallen by more than 50% since the beginning of 2018, as investors grow increasingly fearful of intervention by regulators. Bitcoin is not recognised by any central bank. It allows people to bypass banks and traditional payment methods to pay for goods and services. Carstens said central banks should in particular pay attention to the ties linking cryptocurrencies to real currencies, to ensure the relationship was “not parasitic”. His comments follow a string of warnings on bitcoin from authorities and economists around the world, including India, the US and South Korea. Facebook has banned bitcoin and other cryptocurrency adverts on its site.